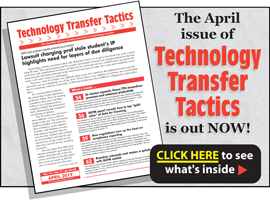 Tech Transfer University Reporter in your inbox! In addition to your free subscription you'll also receive info on upcoming webinars and other tech transfer related products. So how do you gauge the impact of these efforts? And more importantly, how do you do it cost-effectively? Technology Transfer Tactics recently sponsored a webinar on this topic led by Chester Bisbee, PhD, JD, David Conrad, PhD, and Lisa Lorenzen, PhD. In the program, Benchmarks and Metrics for Gauging Your TTO’s Economic Development Impact, these experts offered a plethora of sound advice and best practices, and I have included below just a few time- and cost-saving tips they shared. To purchase the entire recorded session on DVD, on-demand video, or print transcript, click here. One of the challenges when trying to come up with an annual report for economic development activities is that the data is scattered across a lot of different organizations. From the research park, to the tech transfer office, to the incubator, sponsored programs and beyond. Moreover, it’s sometimes on different spreadsheets, so implementing one centralized system is key. When you go about building a system, it’s important for you to think about what questions not only you’re being asked by people government or economic development agencies now, but what future questions they’re going to come up with. Because if you don’t build a database correctly with the right structure, you won’t be able to instantly slice and dice the data in a way that will answer a particular question. Talk to each user and try to anticipate what they will ask in the future — such as how many of your start-ups raised more than $1 million in venture capital, or how many employees at the start-ups live outside the county or state that the university’s located in. Use prepopulated web forms that allow companies and organizations to change what’s incorrect or update what’s changed from the last time you did a survey. They’re better at getting the data correct, and it takes a lot of the burden off you. Find a way to incentivize and reward people who contribute data to the survey or to the data gathering and reporting initiative. The University of Iowa uses Qualtrics, which they have a site license for. It’s an automated system to collect responses and send automated e-mail reminders. While your vice president may prefer the dashboard with graphs and numbers, the state legislature typically wants to hear a story of some nice successes. 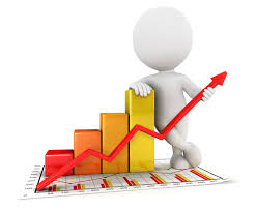 You must be able to report your successes using a format and method that speaks to your audience directly. Thank you to our expert program leaders for providing an outstanding session! To see all our distance learning programs and other valuable resources for tech transfer professionals, click here. Visit www.TechTransferCentral.com for more unique, practical, and advanced strategies, case studies, best practices, and expert guidance on a broad range of challenges and opportunities for technology transfer offices and professionals.